The Buckingham summerhouse features fully glazed Georgian double doors. The doors are fitted with beautiful ornate handles with lever locks and antique hinges. To the front of the summerhouse is a Georgian bay window. To ensure there is plenty of light inside the summerhouse there is a top hung opening side window. This summerhouse comes as standard without a veranda however, there are two veranda sizes available 2'6" (76cm) and 4' (122cm)(as shown in picture). 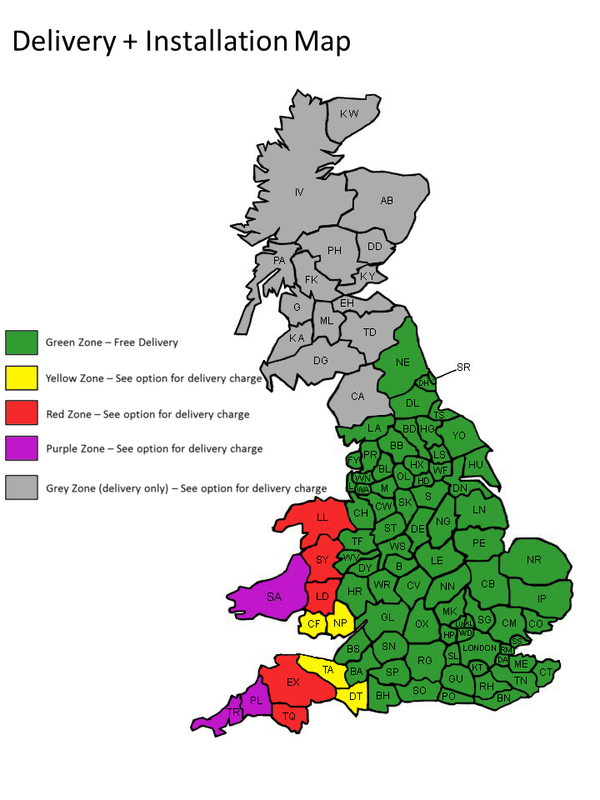 There are also many other options available such as 15mm (0.6") log lap cladding, 19mm (0.7") premier shiplap cladding, toughened glass, heavy duty framing and various felt options. It is possible to achieve a mirror image of this building. 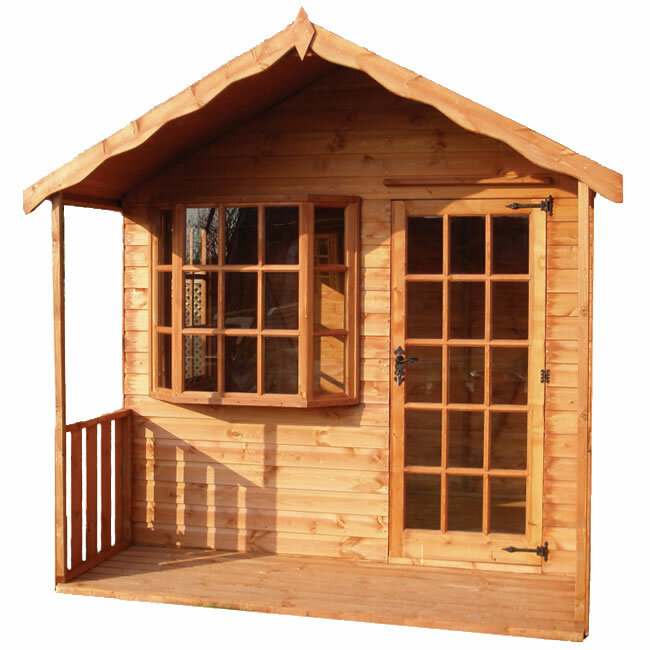 The Buckingham summerhouse 3.05 x 3.05m a square garden building ideal for use all year round. Buckingham Summerhouse 3.05x2.44m with attractive bay window and various other options available. The Buckingham summerhouse 3.66 x 3.05m a perfect garden building for use all year round. The Buckingham summerhouse 3.66 x 3.66m a large building which lots of options available. The Buckingham summerhouse 3.66 x 2.44m a flexible garden building with plenty of options. The Buckingham summerhouse 3.66 x 3.66m a very large garden building with multiple uses. The Buckingham summerhouse 4.27 x 3.66m a large garden building with multiple uses and lots of options available. 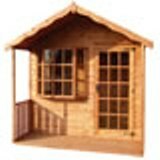 The Buckingham summerhouse 1.52 x 2.44m a small garden building with a bay window. A Buckingham Summerhouse 1.83 x 3.05m with various options available. The Buckingham summerhouse 1.82 x 3.66m a large garden building with multiple uses and lots of options available. Buckingham Summerhouse 2.44 x 3.05m with an optional verandah. Buckingham summerhouse 2.44x2.44m with attractive bay window and optional verandah.